Since I started Peschel Communications almost 20 years ago, translation projects have become ever more complex: more languages, varying file formats, increasingly demanding specialist subjects and more and more complex requests from clients. As a result, project management work is making up a much larger share of our overall workload than it used to. In the early days, our translators handled project management alongside their translation work. Today, the role of translation project manager is separate from translation. This division of labour allows the translators to focus on translating. 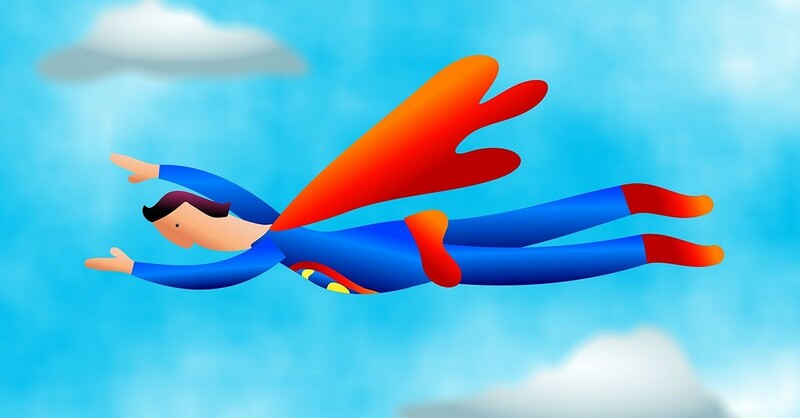 Project managers need the skillset of a superhero to keep everything else running smoothly. A quick search shows that the number of books and courses on project management is infinite. It is important to note that project management in translation services is different from project management in advertising or IT where projects may run over months or even years. Translation companies always have a large number of projects of all shapes and sizes on the go simultaneously. But let’s start from the beginning. What is a project? As a distinction from ongoing, day-to-day operations, a project is defined as a one-off piece of work carried out within a specified time period. In the translation services sector, projects are almost always characterised by time and cost pressure. They are both linguistically and technically complex while their size may range from a one-page press release into one language to a technical manual of several hundred pages into ten. Project management costs for translation projects are rarely recorded and invoiced separately. So it’s unsurprising that most clients do not realise that translation project management is a significant cost item which requires a comprehensive set of qualifications and skills. To understand the work of a translation project manager, it helps to know a few facts about our industry. The market of translation service providers is highly segmented with almost 80% of translators working freelance. Many large translation agencies do not employ in-house translators at all, relying on the work delivered to them by freelancers. Translation companies are able to offer a wider range of services (such as interpreting services or voice-over), work with a wide variety of file formats, coordinate translations into many different languages, provide desktop publishing and much more. Translation companies are also more likely to be able to mobilise extensive capacities at the drop of a hat. The complexity of many translation projects is also highlighted by the number of team members involved in a project. The obvious players are the project manager and the translator. But it doesn’t stop here: depending on the assignment, the work of proofreaders, terminologists, subject specialists, technical editors and graphic designers also needs to be coordinated. And of course the client and the target audience, who will read the translation, also must be factored into the equation. The role of project manager for translations is still relatively new, and comes in many disguises: Translation Project Manager, Translation Manager, Translation Coordinator, Project Leader for Translation Management, Project Manager for Translations, to mention only a few. According to Common Sense Advisory, a market research firm, there are currently around 82,000 translation project managers. Most of them work in-house for translation companies. So what does a pro manager’s work in a translation company look like in practice? Let’s start with the enquiry. Enquiries mostly arrive electronically, although the client may call beforehand. Most clients begin by asking for an offer, which specifies the costs and timeframe required to complete the translation. These depend on a variety of factors: the translation company’s capacity, the length of the document, the subject area, the degree of complexity and the desired language combinations. There will rarely be time for the project manager to read the entire text, but he or she has to assess the above factors, as well as any potential difficulties and peculiarities (graphics that cannot be edited, very specialised terminology, etc.). If the project manager fails to correctly assess all of this at the outset, the project may be delayed further down the line – for example if the layout requires much more editing than expected. Time is money, and clients usually expect an offer as quickly as possible. Once the document has been assessed, the client’s requirements often need to be clarified: which variant of English should be used, who is the target audience of the text, which register of language is preferred? How should proper names be dealt with and are there company-specific guidelines on terminology or spelling and style? An in-depth consultation with the client often precedes the offer – and this consultation is of course also a sales pitch. Are any additional services required, such as proofreading prior to printing, or correction of the source text? When the client requests a very quick turnaround, the project manager may have to check the availability of translators and proofreaders before sending the offer. Processing time can also affect the price. While very tight deadlines often generate a surcharge, at our company we also offer discounts for longer processing times. Once all of these issues have been resolved and the order has hopefully been confirmed (if not, all of the work described above was for nothing, i.e. unpaid…) it is time to begin work on the project itself. Some of the work mentioned here may already have been carried out during the offer phase. In particular for very time-sensitive projects, enquiries will already have been made with translators and proofreaders. It is one of our project managers’ magical powers to know what to do when. Before actual translation can start, the translation project is entered into the system. The client’s information and the key project information – name, contact person, text length, price, language direction and deadline – will probably already have been entered during the offer stage. Other important project information are the subject area, type of job (translation, proofreading, etc.) and information for the project team (reference material, target audience, purpose). There are several professional software tools for the administration of translation projects. The next step is to book translators, proofreaders and – where required – desktop publishing or graphic design experts. Depending on the language combination or the time of year (for example, during the holidays), this can take quite a while. Of course, experienced project managers know exactly who is suitable for which project, in terms of the languages involved and the subject matter, and always try to use the same translators and proofreaders for the same clients. This information too should be documented. Before the translators can get to work, the project manager usually has to prepare the source text document. This step has become increasingly time-consuming in recent years. More and more customers send their documents in pdf-format, which is difficult to edit using translation tools. Complicated Word formatting also creates additional work, for example if a large number of tab stops and text boxes are used, or graphics can’t be edited. Any reference material (such as previous translations or in-house terminology), translation memories, glossaries or style guides must be also be shared with the project team. As soon as the translators have received all the material and information, the actual translation work begins. The project manager will check up on the progress of the project at regular intervals to ensure that the work is on schedule. Another task is to contact the client to resolve any queries raised by members of the project team – for example regarding unclear wording in the source text, or preferred terminology – and provide technical assistance. Depending on the system used by the translation company, the translation is delivered and passed on to the proofreader either automatically or manually. Most translation tools are compatible, but different versions and systems may cause technical glitches, which have to be resolved – you guessed it – by the project manager. Next, the project manager exports the text from the translation software into the format desired by the client (Word, PowerPoint, or perhaps idml or HTML), and carries out a final check. Then either the graphics will need to be edited once more, or the text will be sent directly to the client. You might think that the project is then finished, the invoice will be sent and our superhero can turn his or her attention to the next project. But good project management always involves follow-up work. The client is asked for feedback, which is passed on to the translators and proofreaders. Any changes made by the client will be entered into the system, and terminology databases and translation memories will be brought up to date. Larger projects may necessitate a debriefing with the whole project team. It is also the project manager’s job to document all of the information that was gathered and everything that was learnt in the course of the project. This includes client preferences, feedback for freelancers and any complaints and how these were handled. Only once all of this has been completed can the invoice be sent. You can imagine that a translation company that only worked on one project at a time wouldn’t stay in business long. In fact, translation project managers juggle a number of different projects every day, for a wide variety of clients with a range of different project members. And that’s not all. In many cases project managers in translation companies take on additional tasks that are needed to keep everything running smoothly. This includes managing and maintaining client data, supplier management (though in some companies, managing external staff is a separate role) and tracking offers. Translation companies that do not have a separate marketing department may also require their project managers to take over a fair share of sales and marketing tasks. Looking at this miscellany of tasks and responsibilities, it quickly becomes clear that carrying them out requires a wide variety of special skills, only some of which are linguistic. Good project managers must be completely service-oriented. They have excellent communication skills and are approachable and always friendly – even under stress. Prioritising tasks within a complex setting and structuring their work are a necessity. As project managers are the liaison between the client and the project team, they have to be diplomatic team players. The role also requires a head for business: project managers need to keep one eye on the company’s margins and spot any new business opportunities. I think most translation companies would agree that the work of translation project managers is probably where most efficiency improvements can be made. In addition to all of the qualities mentioned, translation project managers also need to have linguistic and translation skills. They must, as described above, be able to assess the difficulties and challenges of a particular text with little more than a glance. A certain technical ability is also imperative. Project managers work with different software and file formats every day and must be confident in providing technical support to both project members and clients. In my experience, there are only a small number of trained translators who will thrive in translation project management. Of course, in some companies, trained translators work as project managers and translators at the same time. There are translators who say they would miss contact with clients, colleagues and freelancers if they did not also do some project management. No matter what a graduate’s preferences and talents may be – in my view there is a need for translator training to cover project management as a career option within the field of translation. Even though professional associations have recently recognised the trend and have started offering training for project managers, most translation project managers working today have been trained on the job.